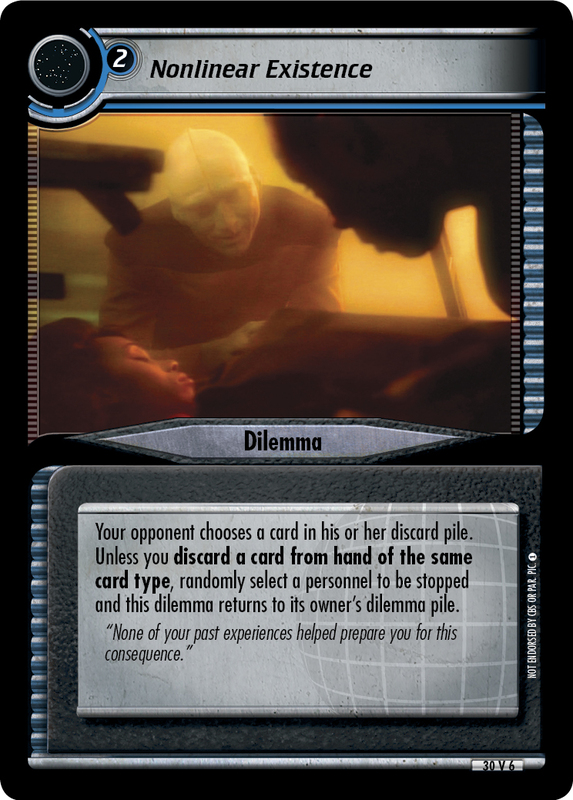 Your opponent chooses a card in his or her discard pile. 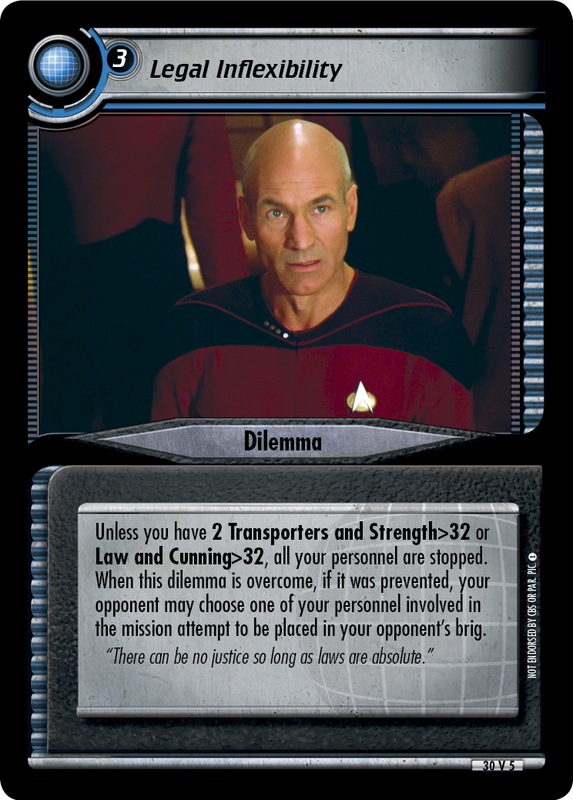 Unless you discard a card from hand of the same card type, randomly select a personnel to be stopped and this dilemma returns to its owner's dilemma pile. "None of your past experiences helped prepare you for this consequence." 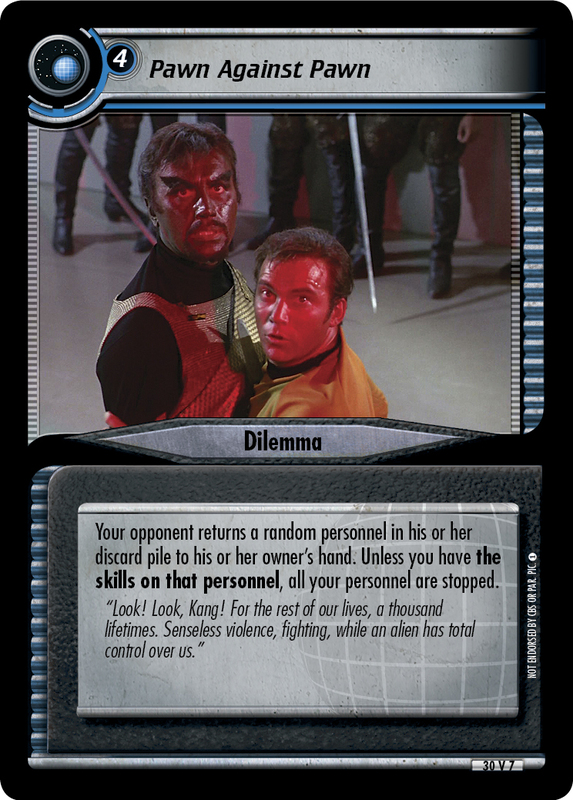 Image Source: Deep Space Nine: "Emissary, Part I"